Bristolians are set to celebrate the 200th anniversary of the opening of the city's floating harbour. The Floating Harbour, made up of Avon New Cut and Feeder Canal, was opened on 1 May 1809, and was created by civil engineer William Jessop. The Harbour, estimated to cost £212,470 in 1802, actually cost £594,000 - the equivalent of about £34m today. The Bank Holiday Monday Fun Day will be officially opened by the Deputy Lord Mayor at 1pm. The free event runs from 12.30pm to 5pm, next to Brunel's ss Great Britain, and will include a jazz band, theatre performances, sea shanty singers, a treasure hunt, and lots of children's games. Event spokesman, Alderman Pat Roberts, said: "Celebrations of this important event in our city's history will go on throughout 2009. "These waterways transformed Bristol 200 years ago, helping to maintain the city's commercial success. "Today they play a vital part in the city's cultural life, and generate vital income through tourism and leisure activities." 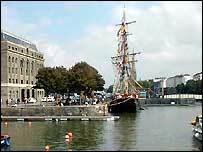 Bristol's port was originally sited in the centre of the city on the River Avon. It was Britain's second-busiest port during the early 18th century, but the tidal nature of the river increasingly caused problems for ships. Traders began to use other ports instead so a solution was needed if Bristol was to maintain its wealth. William Jessop created a non-tidal Floating Harbour with lock entrances at Cumberland Basin and a tidal New Cut to take smaller boats to secondary entrances nearer the centre of the port. The New Cut, Feeder Canal and Cumberland Basin were all dug by travelling labourers or "navvies". They mainly used picks, shovels and wheelbarrows, but also gunpowder to blast a way through the rock. When the Harbour opened in 1809, there was less than one and a half miles of stone quayside. By the time of its closure to commercial traffic in 1975, almost every stretch of the Harbour edge had quays - about eight miles. 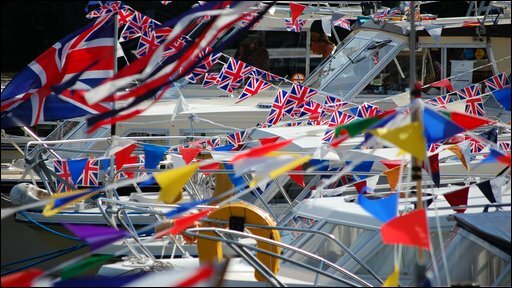 Further events to celebrate Floating harbour 200 can be found on Destination Bristol's website.